This is not a drill; this is your last chance to own a new home in Garden Walk! The opportunity to own a new home in the city of Wichita but with Andover schools is coming to an end. Price just reduced. 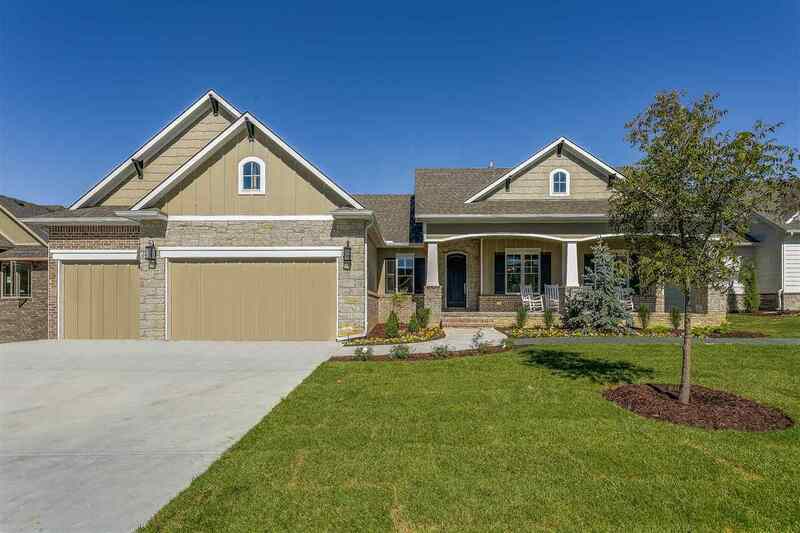 The wide and spacious front porch will tempt you to pull up a chair and pour a glass of lemonade. Huge reverse transom windows in the living room and kitchen pour in natural light. Abundant exposed brick and tile walls throughout put the charm and character of this home off the charts! Don't miss the luxurious and oversized shower in the master bathroom that also features separate vanities. The spacious basement features exposed brick columns and a built in entertainment center to boot. This is modern luxury at its finest!